The completeist in me wants to get around to reviewing all of the Changeling the Lost products. I’ve done all of the core books, which brings me to some of the secondary materials available for the line. White Wolf’s done a decent job of supporting their lines with additional pdf only materials. The substantial Goblin Markets and Victorian Lost pdfs expanded the line. 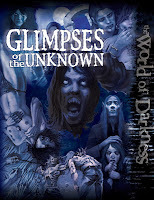 As well a number of the more general WoD books (like Glimpses of the Unknown) can easily be used with Changeling. 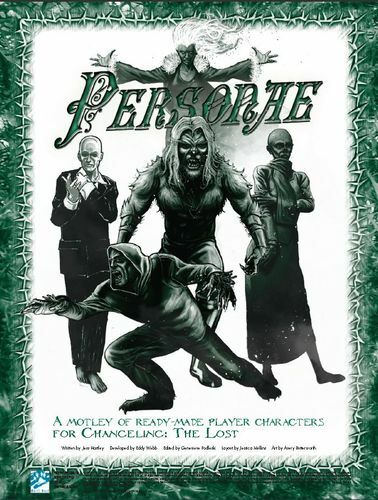 Today I’m looking at Personae, a collection of NPCs intended to be used as ready-made PCs for a group. The actual pdf’s only 28 pages long, done in the same layout style as the rest of the CtL line. It’s actually a little more open here- with slightly more white space which makes sense given the utility approach. The writing’s decent, a mix of player and GM facing material which can easily be disentangled. 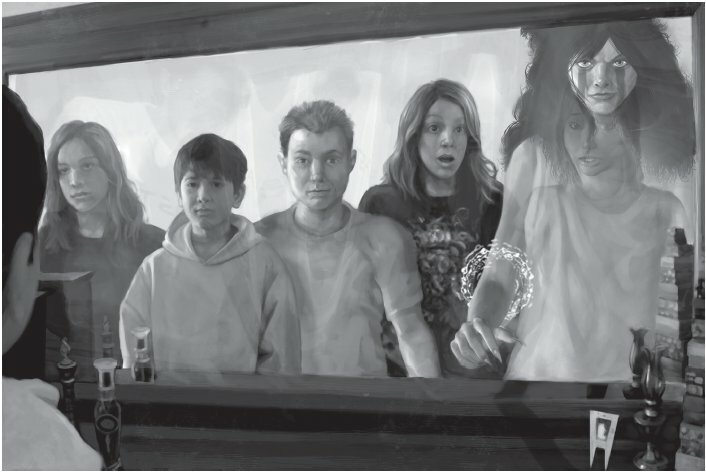 The art work consists of sigils from the core book and illustrations for each of the five characters presented. These are OK, with only one of them really grabbing me. A while back I’d had someone suggest that Changeling the Lost seemed too “New Mutants” to them. It was an observation I didn’t get; I hadn’t gotten that impression from the series. However these images here do echo that for me. They look like a team of Morlock heroes from the X-Men or something like that. It doesn’t help that one of the PCs looks a lot like Storm (pose and all). This is a short book, with a nice cover showing all five of the characters. 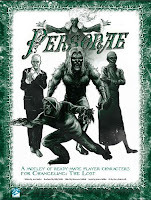 The first page and a have defines the background of the Motley formed by these Changelings, calling itself “Personae.” This is fairly basic and thin, a decent introduction of the players. It may be a little too much for a one-shot, but it you were running a couple of sessions or a mini-series, to introduce people it might be useful. Each character gets a two-page overview. This covers the usual quotes, virtue, vice, background, description, and roleplaying hints. Two versions of the characters sheets are provided for each Changeling: starting and seasoned. That’s a nice touch. The character choices are fairly basic, or at least none really surprised me except the first. You have Romeo, a Mirrorskin Darkling; Aslan, a Hunterheart Beast; Keridwen, a Wizened Chiurgeon; The Hunchback, a Farwalker Oge; and Nicola, a Snowskin Elemental. The last five pages of the book are Storyteller-oriented. I like having some commentary material on hand. In particular there’s some important commentary on the shared themes which can join together a Motley in a CtL campaign. There’s an extensive analysis of the possible options for GM’s who have to reduce the number of characters in the Motley (as with fewer players) or add more. Here’s where the book really shows its aim, going over advice in detail which a GM with a few games under their belt wouldn’t worry about. There’s clearly the aspiration for this material to be used by new Changeling Storytellers. The last part of the supplement offers three interesting plot hooks for each of the characters, some quite interesting and inspired. A novice ST could easily run several sessions just from these. This obviously aims to allow a new GM to simply pick up and start running a Changeling game. At least in our group, I can only imagine these being used for a one-shot or really short run campaign where you want to try out the mechanics or a particular module (like The Fear-Maker's Promise which the text has a couple of ties to). In most other cases, given the cool toolbox of the setting, I would want the players to make up their own characters and I expect they would want to as well. As a ST resource, you might be able to present the characters as a rival motley, but you’d probably want to do some tuning to make them more engaging from the outside. So voting for the 24-Hour RPG Geek contest is over and the results are in. We had 38 entries, all of them offering interesting ideas. I can honestly point to a half dozen of the games and say I’d back a Kickstarter for an expanded version of them. In particular Moe Tousignant’s The Diminiutive RPG and Rhiannon Davis' Men of Romance . Despite the incredible competition, I managed to pull out a win. I’m a little stunned- I had at least two games I expected to beat me. I was also surprised in places at the results. Several games I ranked highly didn’t make the top then. A couple I wasn’t as taken with did very well. But I’m really happy I won- I worked intensely and hard on this game in the twenty-four hours. And then my wife dragged me out to eat and I almost passed out. I believe I turned out a respectable product. Now I want to go back and actually develop the idea and system; I think it is worth revising. The ideas interest me, it has plenty of room to play in, and it offers a new twist on some classic ideas. I’m going to look at some of the process and what I might do differently. 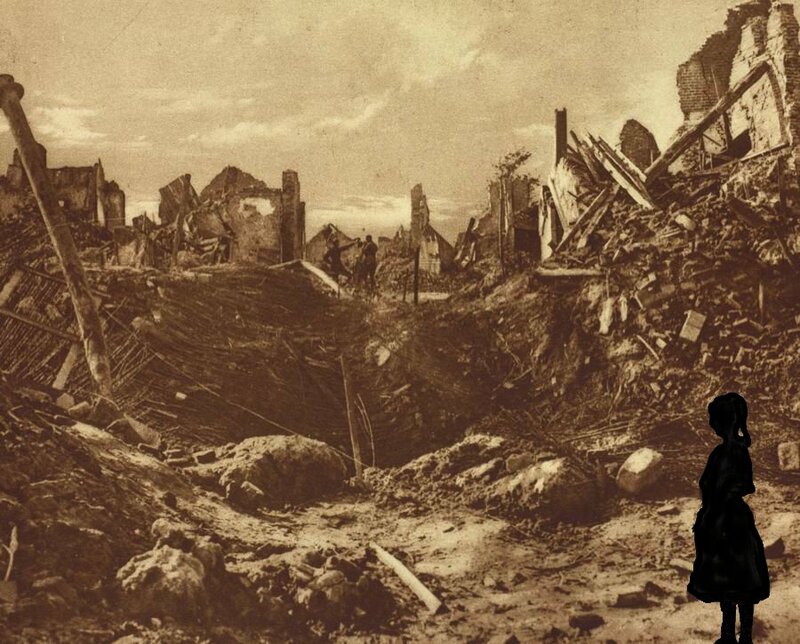 In 1898 the Martian Invasion came, struck down terrestrial armies, overwhelmed all of mankind, and then collapsed - destroyed apparently by the tiniest defenders. The Earth had won and had beaten back the alien menace. 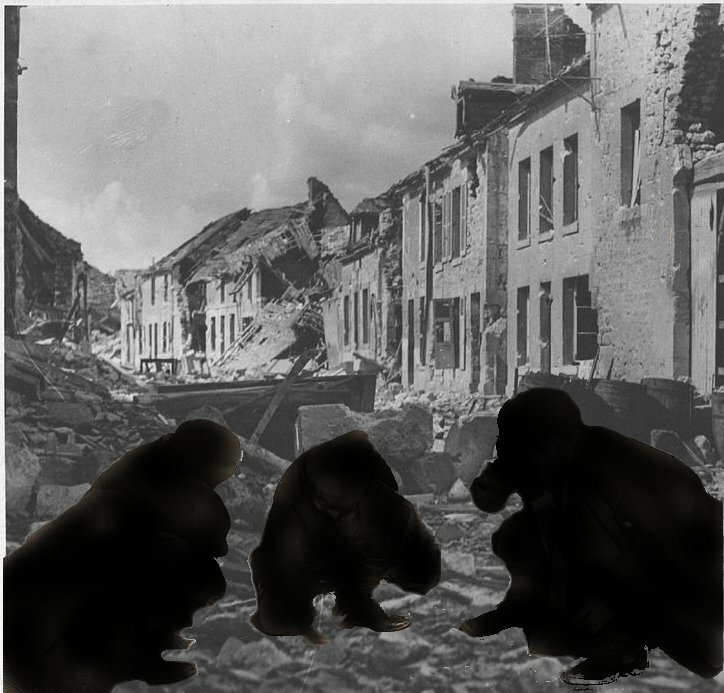 From the ruins, the great centers of industry and life shattered, humanity declared that victory had come. But perhaps it had not. Just as our own biosphere had offered a poison to the Martians in time, what they had brought to Earth offered an equally deadly toxin. The Red Weed did not simply vanish with the passing of the Invaders. It seemed briefly to pause and then it returned with a vengeance. 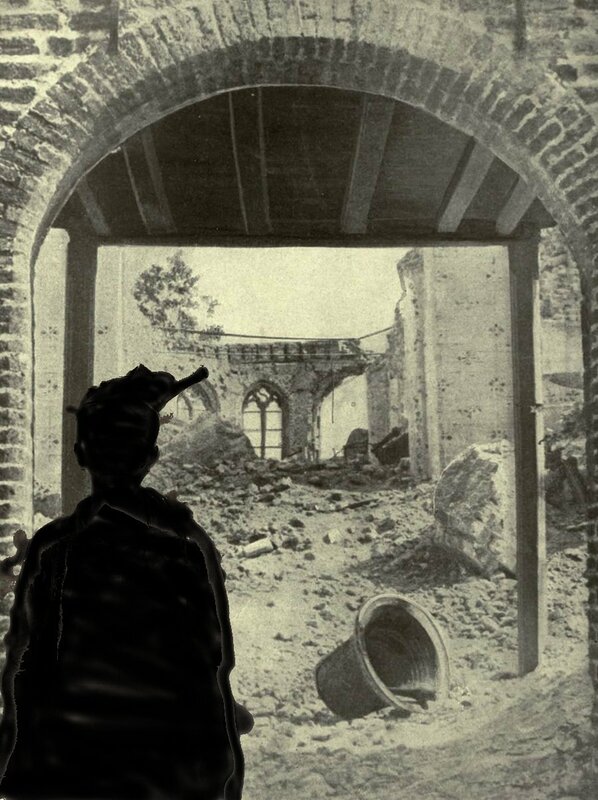 What should have been a time of rebuilding became a brief respite before a longer and more insidious war began. No one knows exactly when the Weed Swarm mutated, when it became some different. Rumors had come from the life-choked countryside, of small animals, insects, birds which had been changed - infected by tendrils from the plants. These crimson animals seemed crazed, rushing towards settlements only to be put down. It drips and drabs it began with a few, then a handful, then a pack off maddened animals. And then after seasons the Weed Swarms became smart - intelligently striking at targets. But even more dangerous were the hybrids and the fusions. Greater beats and monsters - grafted together out of red weed, animal flesh, scrap, and metal. The people of Earth fight a war against this roving menace - utilizing all of the industrial technology they can bring to bear. And... some say... that is the problem. There are rumors, dark rumors that the red Weed did not simply awaken itself. They say that experiments, delvings, researches by scientists and engineers across the planet created this threat. The Martians had died but left behind their technology, their organic science, their bodies, and their war machines. How could mankind resist the siren lure? How could they not adapt those techniques to make transports, steam conveyors, high-temperature furnaces, medical advancements, and, of course, weapons? Great Britain still stands, overseen by her Majesty Queen Victoria. She has lost many of her colonies, but remains stronger and more intact than other besieged nations such as Austro-Hungary, The Ottoman Empire, and Czarist Russia. The British have led the way in the adaptation of Martian technologies, using those to fight back against the Weed Swarm and its many and varied minions. The newest secret weapon in the crown's arsenal are the mechanized armored suits or mecha, code-named Steamlarks. Many hope that these will be the salvation of the Empire and the means for hunting down and destroying the Swarm's dens. 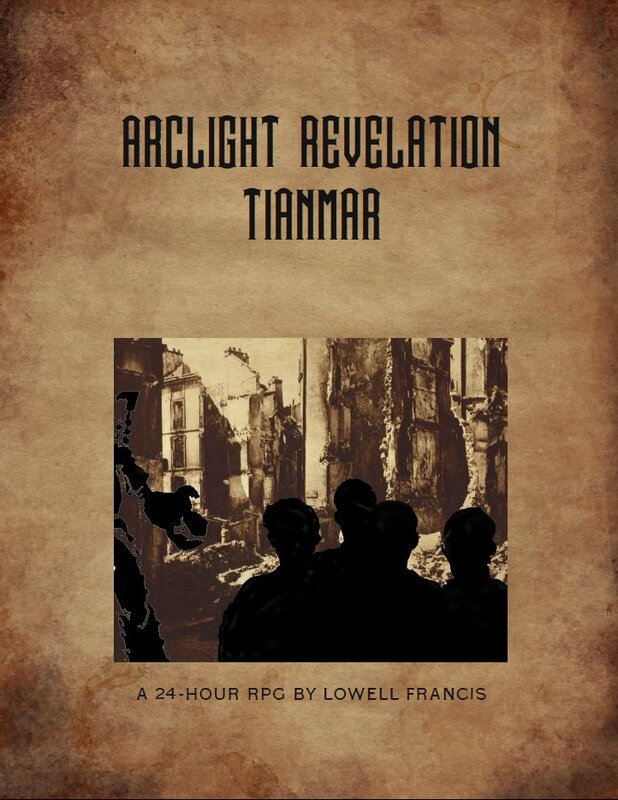 In Arclight Revelation Tianmar players take the role of teens recruited by The Crystal Palace to pilot Steamlarks. 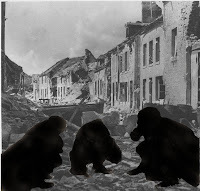 They will protect human civilization against the predations of the mutated remnants of the Martian Invasion of 1898. The Red Weed, once a simple symptom of the alien encroachment, has gained sentience, polluting and corrupting native flora and fauna. Weed Swarm now comes in many forms and monstrous shapes. To secretly raise and train pilots for the Steamlarks, The Crystal Palace has co-opted the Spencer House Academy. Those who possess the mental talent necessary to pilot the Steamlarks are brought to South London - one of several splintered enclaves made up from the once great city. The Divided by walls, the eleven London subdistricts are a mix of bordering holdings and towns separated by Weedlands. The Crystal Palace operates in secret from the hidden Crystal Palace Development Fortress (CPDF). They need pilots with discipline, but also balance in their lives. 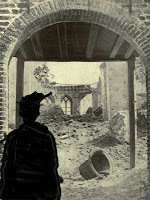 Military-like living conditions and training resulted in catastrophe. Instead the staff have taken a more psychological approach - splitting pilot's lives between a public face of school-children as a secret existence of training and field operations. But even this is a strain on these young men and women - who must face the awful horror of the Weedswarm and still hope for normal lives. Can they survive? 1. When I’d done the 24-Hour Competition last time, I was disappointed in my results (and to a certain extent my performance). I thought Witless Minions was a decent idea and that I’d managed to put together some playable rules. I still think WM has some legs on it, and I adapted some of the key concepts for my DramaSystem sample pitch. One problem I had in assembling WM was getting interesting public domain artwork. I even drew the awful cover image (thus demonstrating that I shouldn’t be allowed to do that). I don’t think the game failed on the basis of artwork (but more likely on other details). But I wanted to make sure this time I didn’t feel under the gun. So when I sat down to work on this, I actually started from the art. I looked around at what materials were available in the public domain. I decided that if I could find something interesting, I would build the game off of that. Right away on Wikipedia’s list of public domain artwork resources, I saw the links to images from the Great War and Child Labour Images from around the same time. That stuck with me, and I began to think about some kind of alt history steampunk. 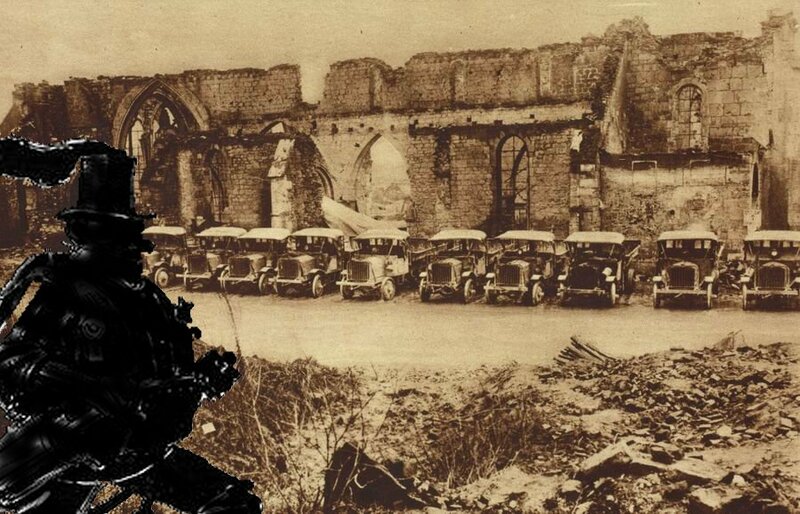 I stumbled on an image in a search from Wells’ original War of the Worlds and at that point things fell into place. I’d always found the idea of the Red Weed the creepiest image in that story. Jeff Wayne’s rock opera of the book only confirmed that for me. I started to think about what the early 20th Century might look like following a global and devastating Martian invasion. 2. After I decided that and the ideas began to fall together, I built a fairly detailed outline: if this were are fully-fleshed rpg, what would it actually look like? I drafted a table of contents. And then I just jumped in and started writing. If I got stuck on one part, I jumped to another and kept writing. The Distinctions section took shape over the course of the whole project, beginning with just a few items on each list and eventually becoming twenty. Then I’d keep switching back to those lists to fill in the mechanics for a term- even as I was coming up with the mechanics. There was a reciprocal relationship between the two. 3. I made sure that I took the last quarter of the time limit to do some minor fixing up and then did the layout in Scribus. I did fixes and additions as they occurred to me there. But primarily I laid it out as much as I could with a couple of hours to spare. Then I grabbed the various images and started working on those. I figured around six or seven would be good. I put everything into a folder and started working. I knew the images wouldn’t look great c&p’d together which is how I hit on the “silhouette” approach. That ended up being harder than I thought it would be- playing around with area selection and painting to do fills. I’m sure if I knew the programs better I could have done some kind of edge trace. My technique had an interesting side effect though. Because I didn’t have the opacity turned up, the shadow effect wasn’t solid black, which actually looked creepier to me. I put together all of the art in a two-hour session, staying on task rather than switching around. Then I dropped the images in and did layout and proofing tweaks. The latter was more of a scan for terrible problems, because by this point 23 hours in, I hated the thing. I just wanted to be done with it. So there’s a good deal of real proofing and editing needed on the game. 4. There’s a double-edged sword to creating such a specific genre and setting. Some people don’t care for steampunk, mecha, and/or school-based games. That’s a tough call for something like this. 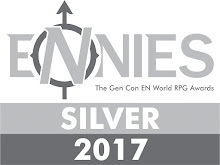 I know when I read through the games I tried to put aside those concerns in favor of design and ideas, however genres I do like certainly did better when I went to finally check and figure out my voting. 5. I like some of the systems I used in the game quite a bit. I’m especially fond of the idea of choosing three words from the lists to create a descriptive phrase for your character. I’ll probably use that mechanic for one-shots from now on, perhaps with cards. I was happy with the way I approached the campaign frames at the back of the book. The secrets section is one of my favorite bits from the whole thing. The rules for Steamlarks are a good start, but could be developed. I like keeping the same mechanics functioning at different scales. What I wanted to do was echo some of the themes from Evangelion, RahZephon, and other like series- the weird grinder they put the characters through. I’ve only watched the original series of NGE and it was pretty dark. I wanted the game to have at its heart real difficulties- and nasty ongoing problems arising from damage taken physically, mentally, and socially. At the same time, I wanted to incentivize play where characters would work together and sacrifice for one another. So the mechanics for Bonds and taking damage to give other PC’s bonuses came from. I want to see how that actually plays out over time. Several people around here have asked about doing some playtests with the rules. I plan to go back and do a major edit pass on these rules first. Then I really want to walk through a see what I think works. I went with a number of mechanics because I didn’t want to use systems I’d developed before. Some of those concepts have legs, but now that I’m not under the 24-Hour gun I want to make the game stronger. One suggestion I received was to look more broadly at parallel fantastic fiction of the period (especially the French) to see if there might be other useful ideas. Could I expand and offer a broader world to play in? Perhaps I could present a more vivid alternate history that treats Europe in more depth. My plan is to eventually create an publishable pdf for RPGNow or a like outlet. I’ll be running a Changeling the Lost campaigns using G+ on Mondays from 7-9pm PST. We’ll likely use On-Air depending on the group’s preference (so that I can go back to review and gnash my teeth about my screw-ups). The campaign will be set in Las Vegas, but we’ll begin by doing a city creation session ala Microscope or Dresden Files. You can see a post I did on how we used this recently in a f2f session. I’ll set up the sections or ‘neighborhoods’ for the city and collectively we’ll build the People/Places/Events and Rumors/Questions levels as well as some factions. This gives the group a chance to add things they’d like to see in the setting. I’ll be using the World of Darkness rules for the game; but I run fairly mechanics light. I often use tags and aspects to short-hand concepts in play. I have a few additional kiths to add as options, and if I get them translated over from our homebrew, some new Contracts. 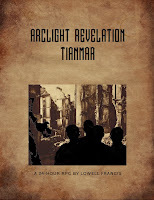 You can see a round-up of some of my earlier Changeling posts here. Generally other nWoD or oWoD elements (like Prometheans, Mages,etc.) I’ve used as background pieces in the game, rather than fully cross-over’d. I don’t want those to distract from the Changeling spotlight. However the group can choose what they want to add/subtract regarding that in city creation. Fetches and how to deal with them remain a mysterious, even to experienced Changelings. I don’t like things which ought to be a mystery spelled out too much. So some other elements like this which have hard and fast results in the books may be more uncertain. Entitlements are more of a spiritual calling rather than an organization. They’re more rare. Travel between cities can be difficult. Outside of the protections of a Freehold lie the Badlands. Changelings prepare and arm themselves before making such journeys. Right now I have three players interested, +Sherri Stewart , +Stacy Dellorfano , and +Cat Rambo . We can run with that, but I’m looking for up to 2-3 more. Sherri wants to do co-pilot if we get enough players. If you’re interested or have any questions please feel free to message me. If you know a good player who might be interested, pass this on. In a couple of weeks I’ll finally be starting my homebrew L5R campaign with a character and family campaign (you can see notes on this here). We have a party of five players; two of them have a number of obligations (family and otherwise). They often miss together. It occurred to me tonight that it might be useful to have a “failsafe game.” That way if we’re missing the pair we don’t have to skip or have these players miss important events or plot development. Tonight I had the three more regular players and we built the basics for the campaign. I offered them three options, all of which involved the party as some form of law enforcement in an urban setting. A) A fantasy setting with the PCs as city guard dealing with rivalries and out of control adventurers. B) A modern game where the players serve as ‘police’ for the secret world of monsters and magic. CSI Diagon Alley. C) A steampunk game with magic and the weird out in the open. They settled on this last one and after some discussion we decided it would be an alternate history America, set in the late 1800’s. As with Microscope these items are nested beneath one another. We did four rounds where the lead player established a theme, and then four rounds without a theme. After each rounds I had the player to the right of the lead player establish a group- a faction, conspiracy, or organization present in the city. There are competing groups of wizards (the nature of that competition remained undefined). Travel by water or rail is more efficient and faster than any other means (magical or mundane). These systems have been well defined and work better than airships or sorcerous travel. Paganism flourishes and has active results in the world. Christianity and other like faiths are but one among many. Canada is a wild, dangerous, and unexplored territory. A land of monsters and untamed magics. Every known form of magic is cyclical in some form. It runs stronger/weaker according to those cycles (day/night, seasonal, tidal, lunar, etc.). The New World is not a United States, but instead is divided into territories with independent control (ala America in Castle Falkenstein). Even within these territories there’s a strong decentralization streak. Mad Science exists. Delving into it makes you mad. The more mad you get, the smarter you get. And vice versa. In the New World, to belong to a city as a citizen and/or resident, you have to be a member of an “organization”. They must have at least one vouch for them, with more memberships giving persons greater stability and pull. However membership costs dues- a kind of indirect tax. Firearms are of the late Victorian period. Despite Mad Science they have not advanced into the 20th Century (so no machine guns, big bombs, etc.). We had four rounds with themes: Bad Places, Getting Around, Secret Things, and The Law. At some point in the process we decided that the city, called Grey Reign, would be relatively in the location of Detroit. This would involve some slightly shifted real-world geography, but that would be easy. The city would sit on locks between two great lakes and have a canal system running through it. A lovely, lonely penal neighborhood filled with special trees and flowers. Soporific, they keep the worst criminals “pacified.” Guards on site have to be equipped with gas masks to protect them from the effect. Rumor has it that some guards have become prisoners after succumbing to the flowers and mixing with the prisoners. Madame Retunia: A Caretaker/Botanist to the Garden of Tranquility. She also provides services to private parties. Moshi: Flower sprites. The very small creatures are mischievous and create problems on the island. Asylum of “Reformation”: A fortress to hold Mad Scientists, whose brains are so consumed with madness that the Gardens are ineffective. The governmental hub of the city of Grey Reign. This massive, maze-like building has expanded and now covers several city blocks. Covered walkways and connections have been used to absorb neighboring blocks and stores. It contains offers of government, order, and justice. The Red & Wire Web: Law officers have access to a byzantine communication system manned by minor magically talented operators. In the field, they can report up the chain and receive messages. “The Councilor”: A title/position earned through deeds and accomplishments, and assigned by the “higher ups.” The duties are said to be mysterious. Vincent Ralboryo: An agent and envoy of The Windy Cities, a neighboring region which hopes to annex Grey Reign and the surrounding areas. He is said to supply a network of infiltrators, but nothing has been proven. Corner Florists: Ubiquitous flower carts commissioned by City Government to ‘brighten’ the streets…and to act as a network of spies. The colorfully named area which houses the city’s main rail station. Emperor Han Zu Pang VIII: He controls the rails that move goods and people through the city and beyond. Rumor: The Younger Emperor is not young at all; there has only ever been one Han Zu Pang. He uses dark sorcery to maintain his youth and hold on his rail empire. The Bad Day: Once a year, bad things happen in the Empire district. People go missing, buildings burn, and organized mass deaths (of things like mice, frogs, etc). Suspicions point to the doings of Emperor Han Zu. Aubrey “Locklock” Sadubya: Leader of the Reborn, a group of those who through overgrafting have become possessed by new and mysterious identities. A center of manufacturing and processing industry for the city. Esterine Warbler Rescuer: Founder of the Universal Gift Mission and a saboteur dedicated to bringing down the industries which prey on the weakest in the city. Wreckers, Inc: An underground workshop devoted to stolen tech and supplies for Mad Science. They’ve managed through various means to keep themselves away from official scrutiny. Has a front as a pawnshop. The Carving Hall: For a price, persons can buy or sell organs or limbs, magic or non-magical. The Hall conducts their operations outside of legal channels, a “grey” area at best. The wealthy section of the city, named for a number of small but lavish shrines. Palace of Heavenly Delights: A brothel and a gentlemen’s club. Well known for its exotic services and discretion. The Brethren’s Gate: A legendary club and order for the chosen wealthy of the city. The rarely seen City Elders are said to hold secret ceremonies here. Climey Baste: “Agent” for the newly arrived and unduly unconnected. Knows everyone, amiably clownish. Hooks people up with civic organizations and guilds. Gets paid to recruit. Dr. Thaddeus Gue: Once a successful Mad Scientist, by accident. He is always trying and failing to reclaim former glory. Some believe he’s been cursed with sanity. The “Underworks”: Grey Reign was built upon and older city, the heart of which Holy Hill was built upon. It contains a maze of underground tunnels and supposedly lost treasures. Confluence Day/Hour/Minute: Every three years or so, all of the major magical orders reach their arcane zenith simultaneously. It is a festival and a time of great trepidation. Ships locks used to pass between the two lakes and connect up with the canals of the city. The many warehouses for the city are here as well. Captain Ducky King: A famous ship’s captain. He’s reportedly the best captain for hire. “Gutter Rails”: An ersatz illegal system of gutters & scaffolds allowing rapid travel across rooftops- from the Locks to the Ovens to Central Hub to Rook’s Law. Asimov’s Sanctum: An area of steamworks where clanks and other “awake” robots hide to escape the wreckers. Drop-Penny Doors: Multiple magical societies maintain “bolt-holes for a price.” If you don’t belong, you can still get in by dropping a penny in a slot. But if they do so they must agree to whatever favor is requested. The bad part of town. The Sawtooths’ Dump: While the canals of the city offer options for transit, horses remain important. The Sawtooths are a family of Wererats who have collected manure and nightsoils for generations. They scavenge through the material and dispose of waste. Precinct of the Lost: Ruined and disgraced officers go here when they screw up. Corben Sethand: Reputed half-god summoner and “protector.” The children of the gods grow up and gain both power and madness. If they come of age they become out of control and deadly. Sethand finds and utilizes their talents for his own interests, an illegal trade. The city runs on canals which allow for traffic and travel through the city. The Hub is the huge network at the heart of this system. There are above ground waterways as well as tunnels and underground networks connected to this. One of the largest districts and crossroads of the city. The Breeder: A man shrouded in mystery. He breeds the fastest, strongest and healthiest horses around. No one knows where his facilities are. Rumor: The “horses” may not be horses at all. They seem to be more ‘aware’ than they should be. This is also part of their allure. Order of Theseus: Operators of the Magical Communications of the Maze-like Gallowshall. They’re voices from the squak boxes, no one has ever seen one. The Constants aka Lich-Given: A dangerous group of magically gifted persons. They’re a secret conspiracy dedicated to controlling the city. They increase their power and sustain themselves by imbibing vitae distilled from the body of their fallen dark master, the legendary warlock-lich, Thomas Paine. The Masked Lamplighters: Mysterious Guild who keep the city lit at night. They wear strange animal masks. The Mockingbird Signers: A criminal organization of thieves, ruffians, and second-story men. Notable for their use of ghosts- controlling them or using bottled phantasms as weapons. Vigilant Cartographers of Grey Reign Proper: They keep and publish maps and catalogs of civic badges. Theirs is a society of sleuths, explorers, artists, and some say, vigilantes. Misspelling the city’s name will get you beat up- a point of honor. The Fist of Gallowshall: Enforcers of the law. The limits on their power is set by the Councilor and his cohorts in the Gallowshall. The Artists: Tattoo artists who imbue their art with power. They may or may not reveal this to the client, and some of their gifts may be entirely random. The Pragmatic Order of Forgiveness of Potential: Children of and former not-quite “Mad” scientists who gather together to support each other in ignoring the lure of their own shining genius. It felt like it really went well- I enjoyed the process and everyone had a good time. We had three people who had played Microscope before (myself included) and one complete newbie. She had no problem getting into the swing of things and developing really cool ideas. The process went more smoothly than I could have hoped. We managed to do everything here in under two hours, and we could have easily done another round or two. It feels natural. I expect we’ll probably use some version of Fate (probably Kerberos Club) or World of Darkness for the game itself. Both offer ways to connect characters to place, so that will be useful. I enjoyed it and it would be easy to come back to and expand. Nicely, while Vamps are out, I still have plenty of room to use Changelings and other classic types in the game. I’m really curious about trying to do this in or as a G+ hangout game. You could easily use Google docs to set it up. I wonder how well that would work. I should make my sympathies clear from the start. First, I’m fond of Victoriana both in general and in its Steampunk versions. I’ve borrowed elements from that tradition for many games. Second, I’m fond of Changeling the Lost. I think it offers one of the strongest and most interesting set-ups for a supernatural campaign. 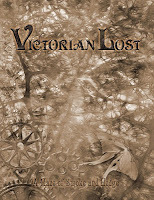 With that established, you’d assume I’d be excited and enthused about Victorian Lost: A Maze of Smoke and Hedge, the recent historical sourcebook from WW providing a mash up of Changeling with 19th-Century England. Instead my first reaction to the announcement was to cringe a little. One of the details I like about CtL is that it puts people, transformed by a horrific experience, back into a setting mixing the fantastic and real. My sense is that familiarity with place allows players to explore and deal with the implications of their new state, while having some solid ground of experience to stand on. Moving that to a historical backdrop forces players to juggle the alienness of the experience and the alienness of their setting. In some games, I think that works, but where alienation’s a central experience and theme for the game, I wasn’t sure. Blake Snyder called this “double mumbo-jumbo”- when you already have one weird premise and then you ask the audience to buy into another one. But some games thrive on this (Evernight’s an example off the top of my head). Still I put off picking this up for some time. Then I had the opportunity to watch a couple of really interesting sessions run through G+ Hangouts. That hooked me pretty hard- and had me thinking about the setting and how you’d handle certain issues. So I broke down and bought the pdf. 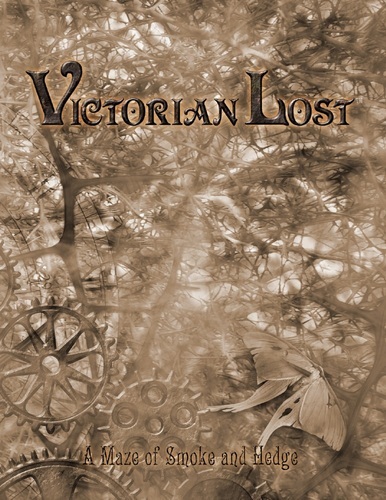 Victorian Lost is a solid 87-page pdf. That’s about the standard for the alternate time period books WW has produced (New Wave Requiem and Mage Noir...which I need to pick up). As with most of the new products from WW/Onyx Path you can also buy it as a PoD softcover. The cover image is striking- a sepia toned adaptation of the Changeling the Lost cover with intruding gears and mechanical elements. The interior text design is tight and dense. Some of that comes from the highly defined page borders (gears and thorns), but overall it feels like the team jammed this supplement with material. There’s little wasted space anywhere. It follows the general two column design of the rest of the CtL line. The exception comes in the form of fiction and notice pieces in between- done as period letters and newspaper broadsheets. These looks good, but the former requires some squinting with the handwriting font. I only have one concern and that’s how light some of the modifier tables and sidebars are- making them a little hard to read. The artwork’s excellent throughout- adapting period costumes and details to the Changeling world. Many of the earlier artists return. I like the picnic gone wrong picture and the character illos. There’s a keeper image on page 57 that really creeps me out for some reason. The writing’s good- echoing the period- overelaborate in a few places. The book itself has six chapters, an appendix, and various intermezzo bits. It breaks into five sections, roughly. Set Up: Andrew Peregrine provides some game fiction- done with an accessible voice. The pieces of it run through the book. Some of the pages have Victorian adverts (though none appear to be as licentious as those which got that issue of League of Extraordinary Gentlemen recalled and pulped.) The two-page introduction sets up the material. VL takes into account the social structures and classes of the period, worlds which bind the characters as firmly as their new natures. The setting focuses on late Victorian England- which makes sense, but does narrow the range a little. There’s a decent, if brief, list of inspirations (I hunted down the one thing they mentioned which I hadn’t read). The first chapter is a set of letters written by a New Yorker arrived in London. It offers a decent set of narrative hooks, but is a little harder to read due to font and page coloring. I'd have liked a little more pay off and clearer connection of these materials to the game text. 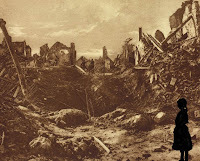 Backdrop: Chapter 2 “Among the Mad People” opens with a further discussion of class, followed by some discussion of how durances of this period would vary from the modern world. There’s more on that in the next chapter- that does point to a structural problem for VL. It switches around from topic to topic quick- without a good sense of connection. Still, what’s presented is interesting- the urban/rural conflict, Hobs, and Victorian spiritualism & beliefs. It gives some new mechanics- two new Kiths, new clauses for existing Contracts, and a two new Goblin Contracts. Through the Victorian Lens: The next chapter “The Shallow Know Themselves” looks more closely at the nature and origins of the Changelings in this era. There’s an odd bit about social movements before the book looks at each of the Seemings. I like the idea that classes remain on persons even after they go through their transformation. The discussion of the Seemings how the different kiths work within society. Most of this is really excellent and full of promise. I’d be curious about how much the “ethos” of the age affects durances and places in the Hedge. For example, the earlier CtL has reference to those echoing alien abduction scenarios. Would you have durances of steam and dark satanic mills? There’s also a new Entitlement; brief discussion of freeholds; and a longer discussion of what the Courts look like in this environment. Mood: “The Most Wonderful Fairytale” examines what stories for this setting look like. This is a nice distillation of those ideas- well put together and colorful. That’s complimented by a discussion of Victorian lit and serial stories- and how chronicles can echo that. The last four pages of the chapter cover LARPing the game. Chronicles & Scenes: Two more chapters plus an appendix present Storyteller-facing material. GM’s will probably want to consider what material from the pdf they want their players to read. There’s a mix of player and ST details earlier. On the one hand, much of that would be useful for them to read; on the other there are some surprises I’d like to keep under wraps. Chapter Five offers two contrasting chronicle pitches, one heroic and one paranoid. Both have a nice set up, sample character concepts, allies & antagonists, some discussion of the story, and some special rules. Chapter Six is a multi-scene story, using the SAS mechanics. The appendix presents a sample motley which the Storyteller can use as a frame for the players or as an excellent NPC resource. As much as anything Victorian Lost has me thinking about the ways in which other WoD lines I enjoy could be adapted into this setting. Mage the Ascension’s an obvious one- there’s already a suggestion in those books about battles during this period over science and magic. It would be interesting to set up a “Steampunk” campaign in which a third way, outside of the Traditions and the Technocracy comes to be- a world of pseudo or fantastical science. That would make for an interesting battle. The Hunters (of HtVigil or the HtReckoning) could easily be adapted- perhaps appearing more like the Rippers. There’s already a London by Night book so the Kindred would make a useful background group. The Prometheans, more NPCs than PC, certain fit into the potential mix. Should it be a game of the secret fantastic as suggested here or perhaps more open mysticism (ala KerberosClub or the "WoD Revealed" frame from Mirrors). Are there things to steal from something like Ghosts of Albion? What? I was doing a review? Sorry. 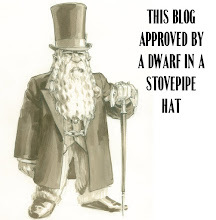 Victorian Lost got me thinking about many different and very cool campaign ideas. In that regard I consider this a worthwhile purchase- it has lots of interesting bits to it. It is dense; a product that clearly could have been many times larger. And it does make me wish they would do a Victorian-style line for nWoD as they did with Dark Ages in the old World of Darkness. I think one of the strengths, which I perhaps saw as a weakness, is the license VL offers to indulge in the fairy-tale, fantastic, and unreal. In that it has more than a little Changeling the Dreaming vibe. GM’s who run in the setting will perhaps want some kind of rough map- a sense of geography could be useful. Kerberos Club and Imperial Age's London offer excellent resources of this kind. I would be interesting to see perhaps fan supplements considering other regions (like the America of the "Steam Fransisco" game I watched or more on issues of industry). Victorian Lost works well on its own, but can really benefit from some of the secondary Victorian-era (and Steampunk) materials out there. I recommend this is you like either Changeling or Victoriana. This has certainly gotten me thinking about how I would run a VL campaign. 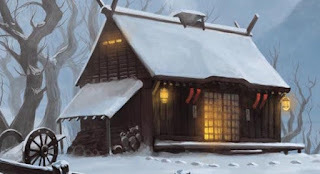 I posted earlier on the Family Creation system I’m using for our upcoming L5R campaign. That borrows heavily from John Wick’s Blood & Honor. The flow of the game will also borrow from that and The Great Pendragon Campaign. We will have adventures within a season and then move forward a season when we hit a break point. In between each of the characters will be able to choose a “seasonal action” representing where they put the bulk of their non-adventuring, non-duty hours. The group will also be able to suggest an action for their daimyo, which they may or may not do depending on their personality. I will be borrowing much of the “structural system” for groups and areas from the excellent Legends of Angelerre. That game offers an easy and simple means of tracking and advancing those institutions without massive amounts of bookkeeping. The Province (and sub-groups in the province) may gain special aspects or even stunts- things like an Expert Architect who reduces costs. Most of these concepts I want to handle in the abstract. Some of your actions have a concrete benefit, but others (like staff training) offer intangible benefits like skills and aspects. Players can invoke or apply these when making argument or carrying out actions later. Part of the reason I'm spending so much time on this is that I plan on adapting this eventually for an epic Fading Suns campaign, where players build a new family line within one of the Houses. Act as Patron: You can commission an artisan or craftsman to create a work for you. This could be practical- a sword or armor are obvious. But you could also have a significant work of art crafted which could be used to gain honor, be given as a gift, or act as a temporary aspect for someone. The patronage also raises your reputation among artisans. Construct Holding: Some holdings can be created after the campaign begins. These require several investments. Holdings will require wood, stone, and/or wealth in various ranges. Labor is assumed to be generally available. It also requires the investment of a certain number of seasonal actions by PCs and/or the daimyo. This represents the characters working and pushing attention on the project forward. Only one new holding may be under construction in a season. It may take longer than a season for something to be built. All new holdings begin at Rank One. Diplomacy: Diplomacy happens all the time. This represents a specific mission to another family or clan with a particular objective defined by the player. Gifts and wealth can offer an advantage. The GM will set a difficulty and have a check or series of checks. Espionage: There are several kinds of spies. The daimyo and the spy-master have access to all five types at the beginning of the campaign. 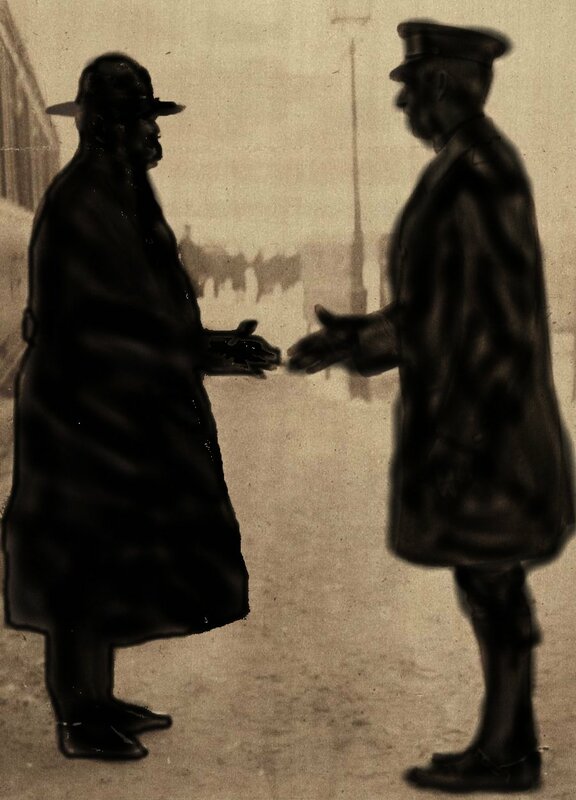 All players can use and access the most basic type of spies- local spies who can report on general feeling, offer specific knowledge of the region, and give insight into specific problems. If another player wants to create their own network of spies outside the province, they will have to spend a seasonal action assembling it. Friends and Festivals: The character can trade wealth for a positive reaction from a group or the population in general. Often this means investing in various local practices and celebrations. For example, if the player wishes to reduce peasant, merchant, or retainer unrest in one of the areas of the province. Alternately, the character may wish to curry favor with a particular group (monks of an order, peasants in a village, the family of a samurai). In this case the benefit will be more significant, but with a smaller group. Group Training: Troops or other units may be trained. This can increase their effectiveness. General rank may be increased, or a particular role may be taught (for example training Ashigaru to be Ashigaru Archers). Larger groups with a pseudo-military role may also be trained (for example Magistrates or Road Wardens). Healing: Characters who have taken Severe Wound consequences may spend a seasonal action to recovery. This can be done for either Physical or Composure consequences. You may also, with the GM’s permission, recover from Extreme Consequences, by taking this action and paying the points to rewrite the transformed aspect. Improve Holding: You may raise the rank of an existing holding. In some cases, this simply means an expansion of benefits- more food, more bonuses, etc. You may also add aspects to holdings to give them a benefit if they come under fire. Adding an aspect is reasonably easy. Other developments cost more in wood, stone, and/or wealth in various ranges. They also require a certain number of seasonal actions by PCs and/or the daimyo. Increase Troops: At the beginning of the campaign, the province has five points worth of troops. One for the daimyo household, and one each for the four sections of the province, NSEW. The number of troops can be increased with a base cost for recruitment, followed by increasing the upkeep costs each season. Particular types may be recruited as well. Job Duties: Each character has a particular giri or duty. They are generally expected to be carrying that out. They may, as a seasonal action, focus on that duty to the exclusion of all else. This can be used to answer a question, create a temporary aspect, increase reputation, or have another benefit. The player and GM can negotiate on this. Learn the Land: The character may travel and familiarize themselves with one of the four sections of the province. They may define a plot aspect based on that. Such aspects are permanent, but may require refreshing though actions. Oversee: The character may push harder on a particular facet of the province- a mine, construction of a holding, a dojo’s training- to increase output, but at the risk of causing problems. The benefit will be proportional to the risk and costs. Personal Training: This includes exercises, mediation, and prayer. You may change an existing non-trouble aspect on your character. Alternately, you may change up to three skills for other skills. You may also spend points to buy an ability, even without a learning experience. The GM may also allow you to add a temporary aspect for use in the following season (one with stress boxes). Most importantly, if you wish to increase your school rank, you must pay the points and take this action between seasons. Only one rank of a school may be purchased in a season. Recruit Officer/Expert: At the start of the campaign, the key roles within the province are filled by the PCs, plus two NPCs. Seasonal actions may be spent tracking down, wooing, and recruiting new persons to the clan. This is a difficult challenge, as it often requires gaining their release from current service. Each character’s attempt to recruit generates successes towards the process. For example, a “Great” result would add +2 points to the total. The GM sets the difficulty of recruitment- and may allow players to opt out with a lesser success or press on for a greater result. This action can also be used to attract holding “persons” like Artisans. Alternately, players may use this to add a person who acts as an aspect or talent for the province (like an Architect who oversees construction and reduces holding building time). Research: The character may spend time in research, uncovering a specific and permanent aspect to be added to something. This may replace existing aspects permanently. The GM and player can negotiate on this. Romance: Courting your heart’s desire or, more likely, making arrangements for a favorable marriage for yourself or another person. Staff Training: You may add or raise a skill for your “staff”. Alternately, you can add a temporary aspect to them. The more training done with them, the more stress boxes on the temporary aspect. Stockpile: Making efforts to prepare for winter acts as an advantage when checking for spoilage, starvation, and family suffering in the Winter. Trade: Generally the province generates no surplus wealth or more likely loses some. If the family wishes to generate some additional capital, a focused trade can convert goods into wealth. This gives a bonus to such exchanges, with other holdings acting as advantages. War: Moving troops to skirmish with groups, either in defense of a particular area or to fight skirmishes with neighbors. Peasant rebellions, monster swarms, and/or organized bandits may require the use of this action to bring them to heel. As a gamer I feed on ideas- I'm reading books, watching TV, scanning the web for hooks. So sourcebooks that distill that down for me are particularly appealing. Game lines offer several kinds of “plot hook” book. You have something like S. John Ross’ Big List of RPG Plots which sets up a conceptual framework with lots of twist variable, the more linear and closed approach of Eureka which offers a complete story, and the structure of Legend of the Five Rings which presents a set-up, twist, and then several directions the story can go in. Glimpses of the Unknown offers neat ideas and concepts and leaves the execution and solution of those to the GM. That’s my preferred approach- I generally ransack sourcebooks for these kinds of ideas. I want books that generate ideas for stories, rather than plotting it from A to Z. Options for endings should be variable or open. Something like the Citybooks clicks for me because it offers those kinds of open set ups and ties them to NPCs and places. Glimpses of the Unknown is a standard size WW...wait, Onyx Path...product. I suspect most will pick this up as a 50-page pdf, but it can also be purchased as a PoD softcover or hardcover. The text design follows the format of most of the other WoD books- clean two-column design, watermark bleed on the vertical page edges that doesn’t get in the way, and decent white space. There are a few switch ups, such as the fiction at the beginning, but it looks good and does the job well. The artwork’s uniformly good and varied. The cover illo is assembled from that scattered art and serves as the watermark. It strangely shows up as four separate pages in the book, though. The writing’s good- I’m not sure how deliberate it is, but there’s definitely a tonal shift between sections. There’s a two-page piece of game fiction at the start of the book- tight and evocative. I’m not usually a fan of game fiction, but this sets up the weird to come. There’s a one page introduction to set things up. Seeds: These are a paragraph or two, simply setting up a premise, a few details, and then offering some options about where to go. Usually that means a key question or two to help the GM flesh things out. Each has about 4-6 of seeds. Plotlines: These are more elaborate ideas, a campaign arc or full campaign premise. These are multi-paragraph concepts. While these have more details and concepts, they’re still written openly. Each section has 2-3 plots. Other Stuff: Each section also has a new concept. Many of these are specific to the rpg (a new spell for Mage, Goblin Contract for Changeling, Ceremony for Geist). However a couple of the ideas could be more generally used. There’s the idea of Unnatural Phenomena and the new merit Supernatural Lore- useful for cross-over games or games where another type plays a role. A couple of the sections shift this formula slightly. The Hunter section has “tiers” for each of the entries, suggesting increasing levels of twist and danger. I assume this is a concept from the rpg itself. The material on WoD Mirrors provides seeds and plots for each of the three “versions” of WoD presented in that book. There’s an odd link across the book with references to “Outsiders” in several sections. These reference a rules sidebar later in Glimpses, which is actually only a few paragraphs. As I read the repeated mentions, I assumed there would be more here on this new concept. Of course, my interest is squarely on the Changeling material, which is why I actually picked this up in the first place. Let me look at that more closely. Of the six seeds, two of them are OK, two are good, and two immediately made me consider integrating them into a story right away. One of them nicely ties into the new Goblin Contract “Hospitality’s Hold.” This three dot contract enforces the commitment to Hospitality. When a Changeling violates those rules, they take on a visible mark on their Mein. These Violation Marks could be used as a nice device- as in the case of the plot seed where players have to deal with a newcomer who bears many, many of these. I really like both of the plotlines offered here- one of them drawing the players and freehold into the complexities of Court dynamics. This would be a great way to put players into contact with characters representing the factions. The second plot offers an interesting choice for the players- and depending on how the GM presents the key NPC. The plots aren’t necessarily mutually exclusive and offer ties back to a couple of the plots. A few of the plots in each section really only work in the context of that particular rpg. However the greater share could be adapted to other games and settings. That makes this book that much more useful. The exception are the Innocents and Mirrors sections at the end, which reflect their split from the main WoD. The material for Mirrors presented here actually makes me want to track down a copy of that book. I love some of the ideas here- one of which reminds me of the Dunkelzahn arc from Shadowrun. This is a decent supplement. At first I assumed I'd be irritated by the scattershot approach. But there's enough adaptable ideas in each section that I stopped worrying about that quickly. Instead my concern is that I want more- I'd like to see a follow up to this, perhaps with a higher page count.